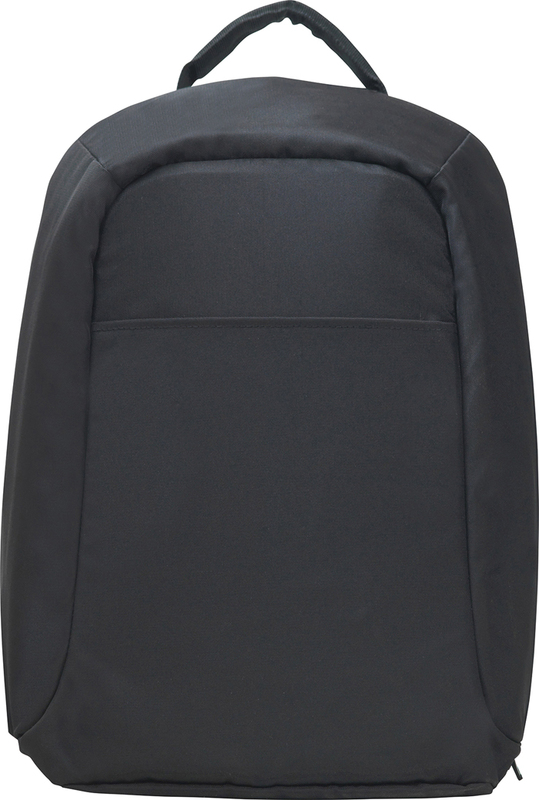 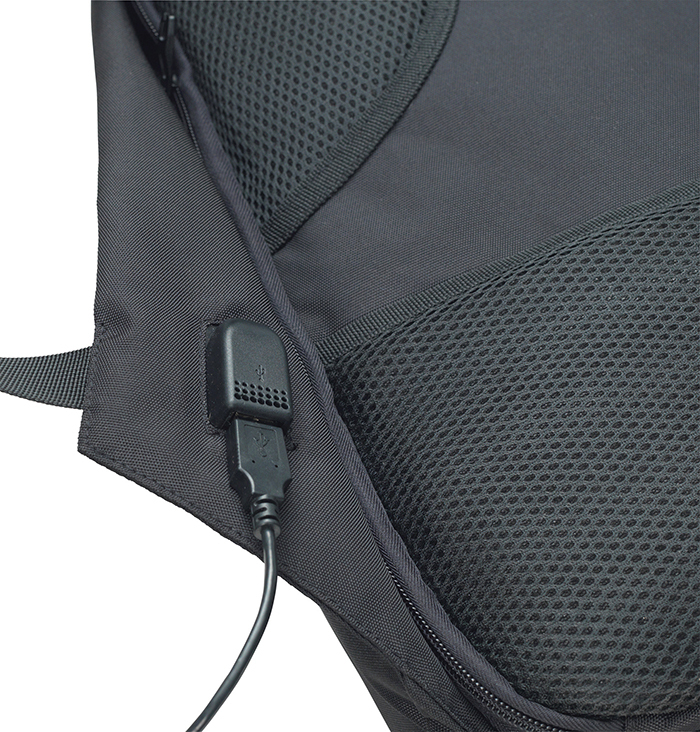 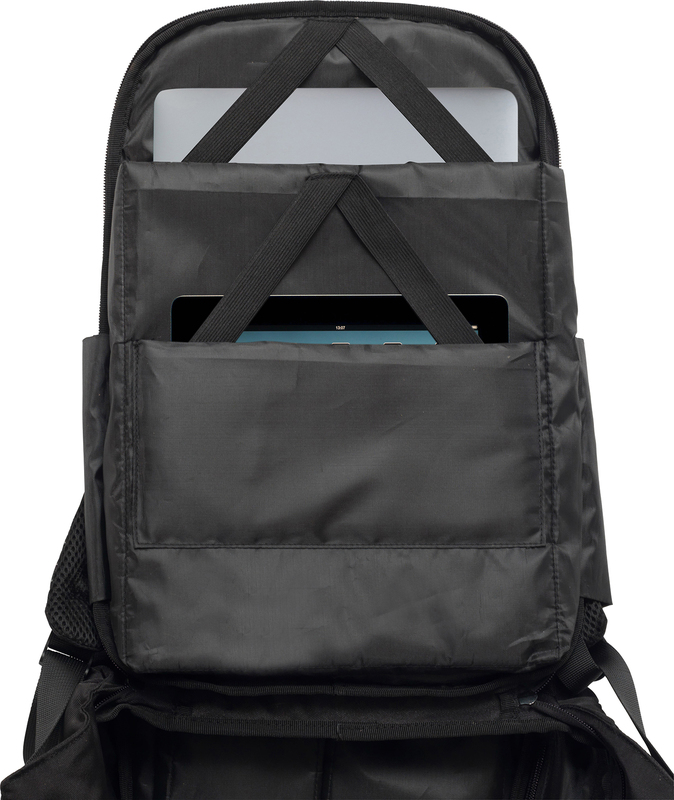 Description: Reach compliant 900d Polyester 'Anti-Theft' Backpack which includes a USB outlet and padded laptop compartment for devices up to 15.4". 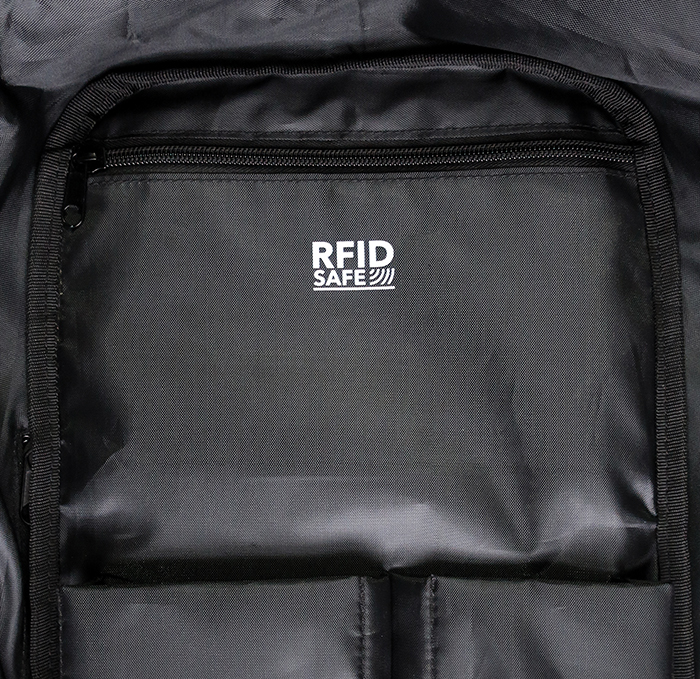 This updated version now includes an internal zipped pocket (L20xH12xD2cm) lined with RFID fabric to help prevent scanners. 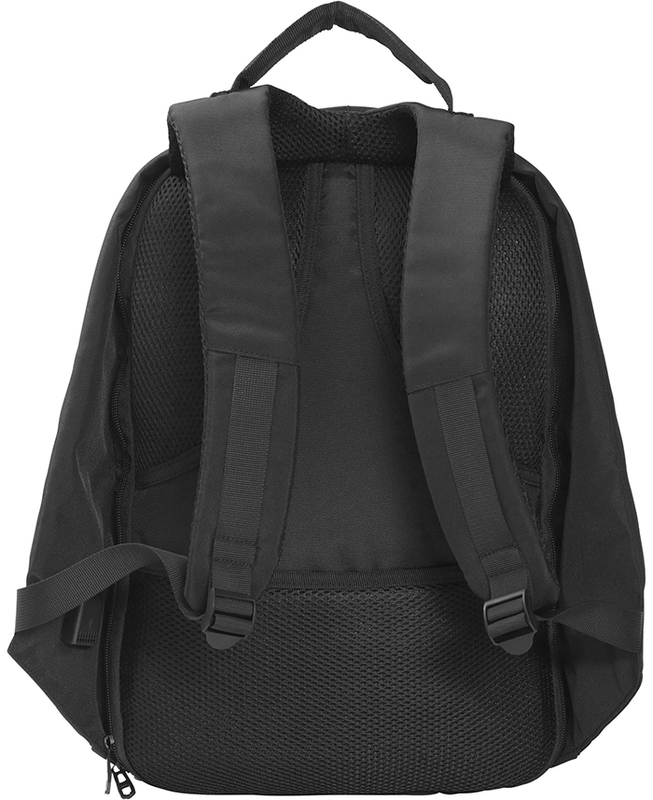 Padded rear zipped compartments with multiple tidy pockets .